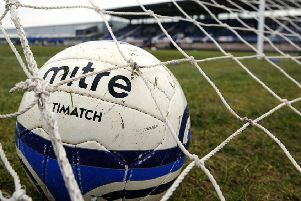 Stranraer goalkeeper Max Currie says silencing his critics made dumping Arbroath out of the Scottish Cup even sweeter. Currie pulled off a number of decent saves to deny the Lichties on several occasions before Ian Smith’s decisive strike sent the Blues into the last 32 of the competition. And the 21-year-old revealed he had been on the receiving end of jibes from the home supporters at Gayfield during the 90 minutes, which made the victory all the more enjoyable. He said: “I thought we could win. Arbroath are a really tough team but we put them under pressure and we got the chance and we scored it. We’re into the next round of the cup and that is all that matters. That’s my job isn’t it to make those saves. “I thought our team performance was very good and we defended very well. “The Arbroath fans always give me stick – one guy in particular I always hear his voice. He shouts Maximus I don’t know why. It was good to get a win and rub it into them. “There’s a lot of players who get abuse and they don’t like it but I actually enjoy it, it makes it sweeter if you get a win. 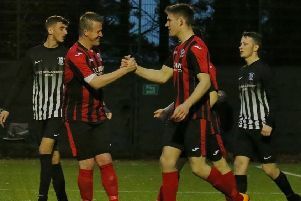 Stranraer boss Stevie Farrell praised his players’ performance.